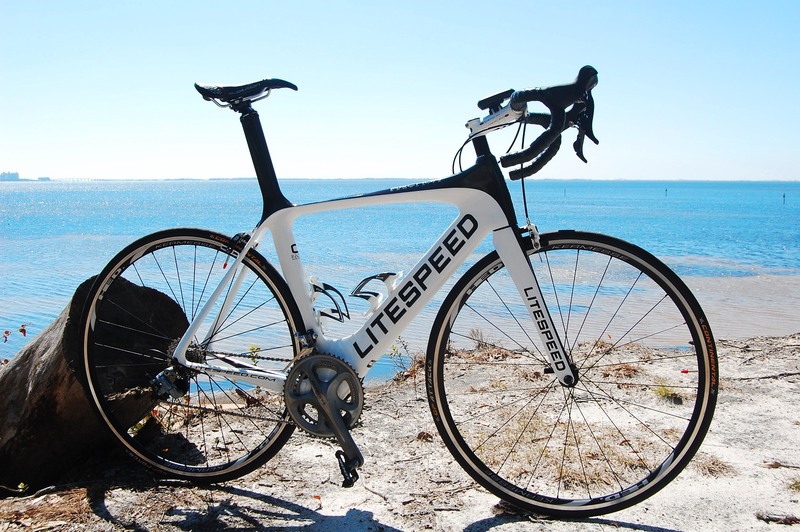 Goals: Aerodynamically efficient road bike for endurance rides. The AR-1 is Felt's flagship aero-road frame for 2010. The frame has been significantly upgrade since 2009, with increased frame stiffness, bringing it up to that of Felt's proven race geometry F-series frames. The eye-catching frame is matte-black and red, with a few anodized red accents thrown in for good measure. The 60 cm frame weighed in at 1290 grams, with the fork adding 403 grams. 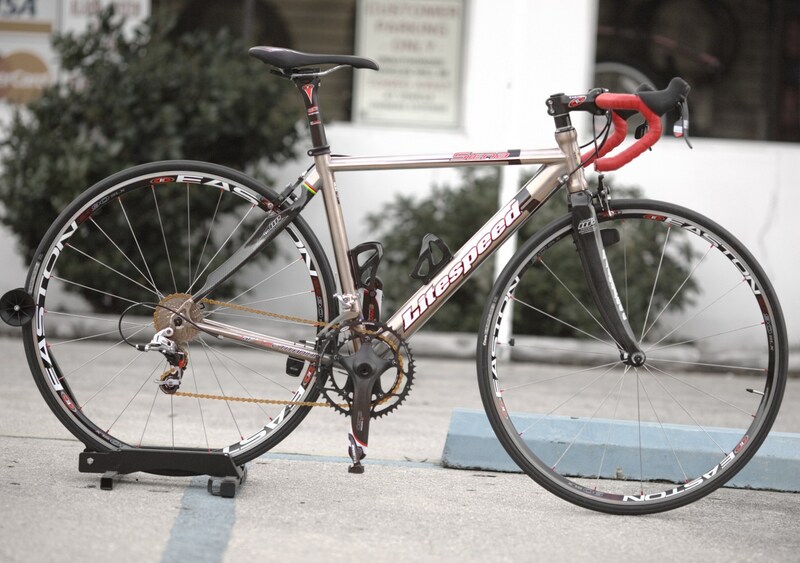 In all, the frame is just slightly heavier than traditional road frames of equivalent size. I will note that Felt's geometry makes this bike comparable to a traditional 61-63 cm frame as the top tube is 2 to 3 cm longer than most. 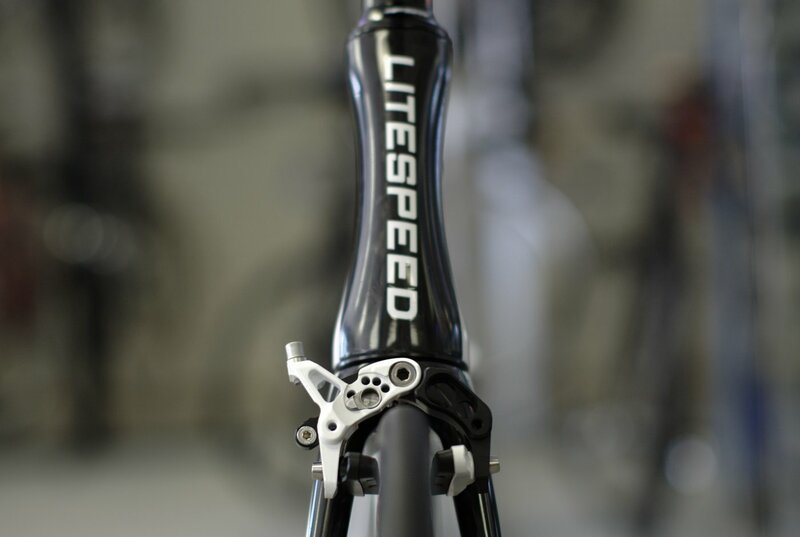 In the end, this results in selecting a small sized frame with extra drop (extra height needed can be made up by the raising the saddle), and the overall geometry results in a longer, lower, more aerodynamic body position during riding. 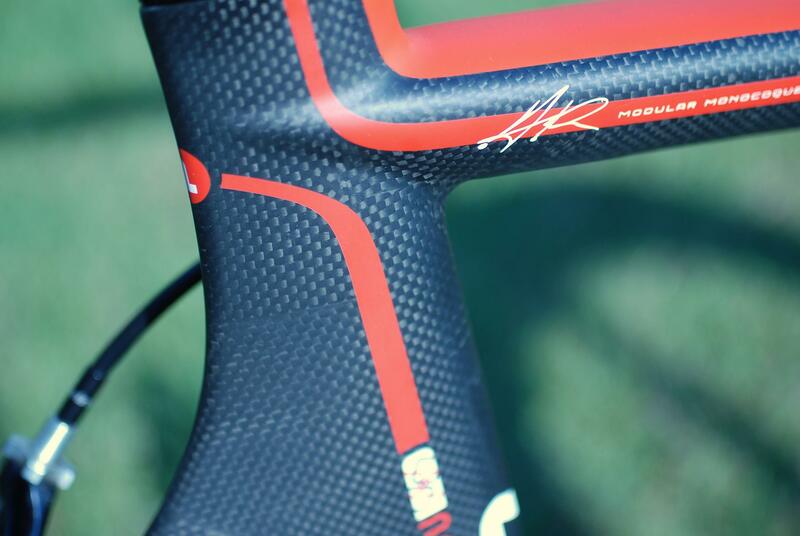 The frame also has internal cable routing and carbon fiber dropouts. Wheels are Flashpoint 80s fitted with Vittoria Rubino Pro slick tires, and match perfectly. Ride quality is wonderfully smooth, yet responsive. The wheels take time to spin up, hinting at their 1900 gram weight. However, once accelerated, they stay spinning. Originally purchased for solo rides, the wheels make a noticeable difference in a paceline as well. 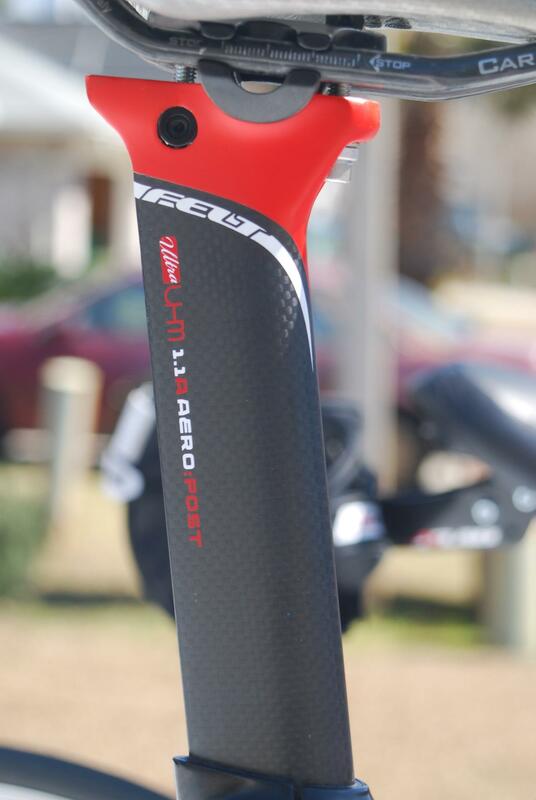 The AR-1 sports an wing shaped carbon seatpost, with saddle adjustment via two dualing bolts. Its head is rather stout and appears to be made of solid carbon fiber/epoxy. 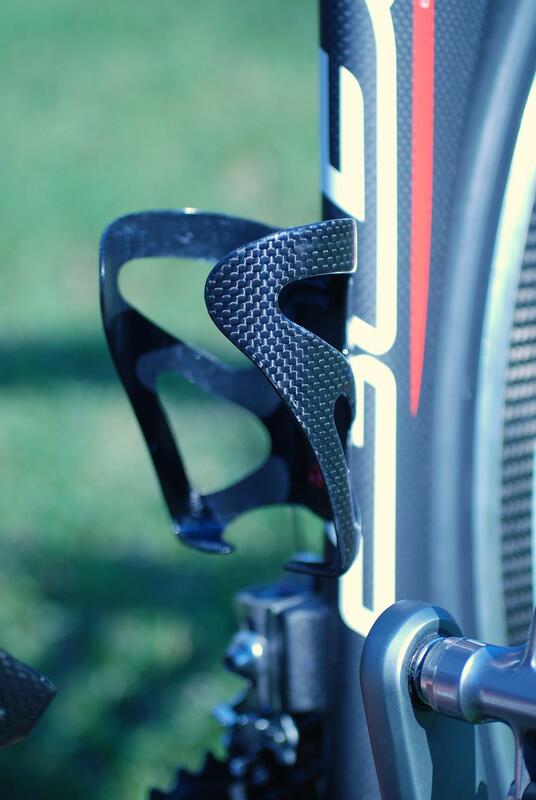 The seatpost clamp is made of steel with titanium hardware. 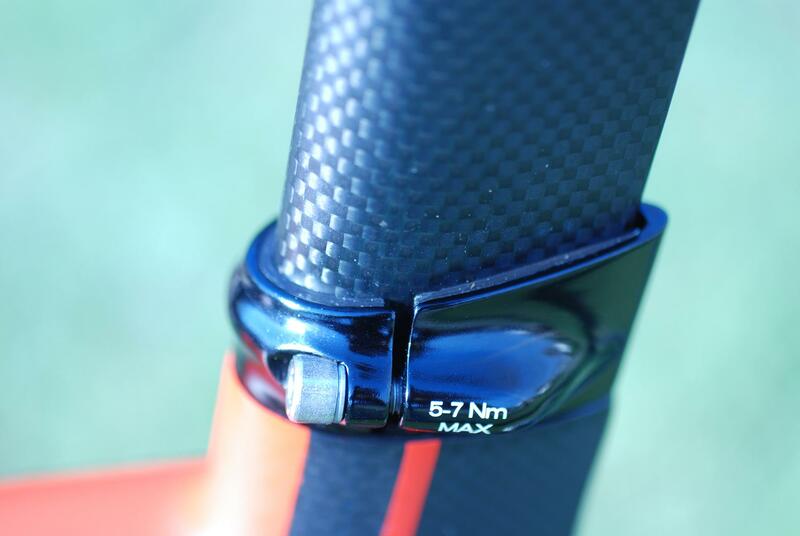 Compression of the clamp is taken up by two thin wafers of carbon fiber, intimately in contact with the seatpost. 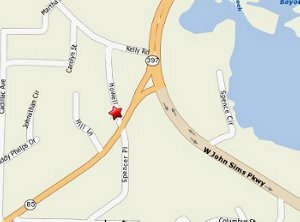 Due to the curved geometry of the post. This area is a known problem on many carbon frames. As such, the build included friction paste being applied to the post, and to date, no slippage or creaking of the seatpost has been noted. Overall the carbon fiber layout is nice, but not outstanding. 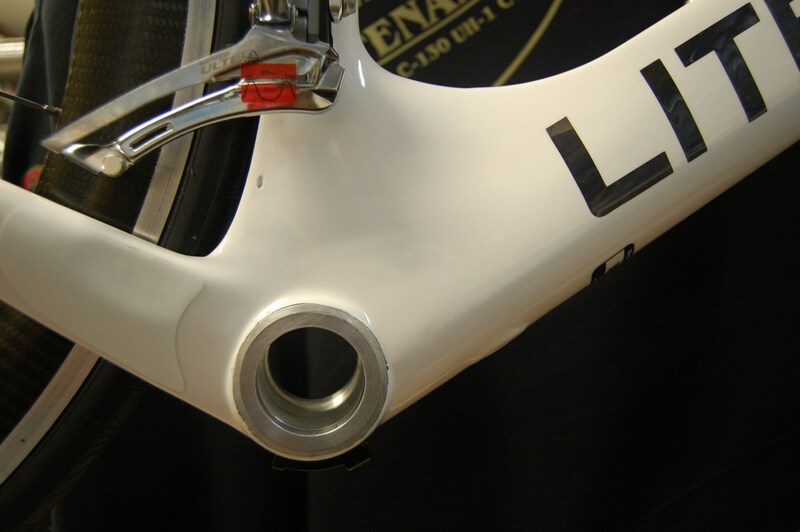 The complex junction between the top tube, seat post, seat tube and chainstays shows a few obvious added layers. This area, like the chain stays, simply show small carbon fiber patches not blended to the background. 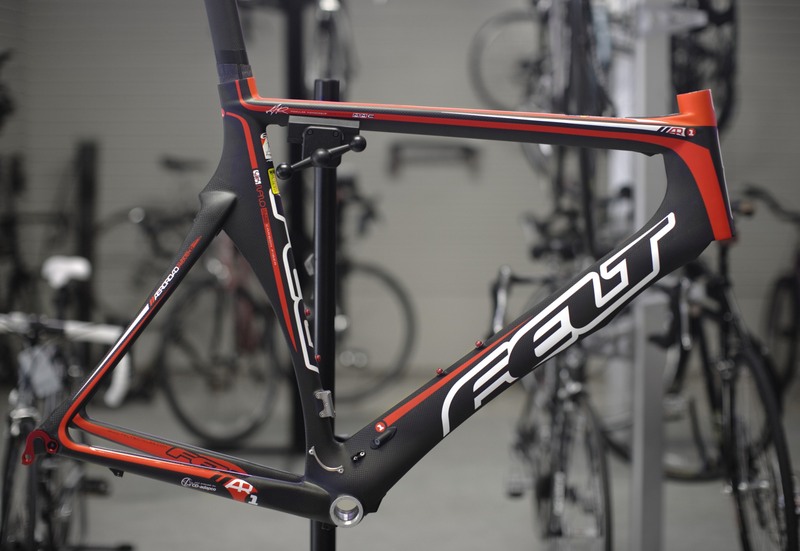 Felt calls the frame fabrication process a "Modular Monocoque", indicating fiber joining of pre-manufactured pieces. On the frame, there is a single blue dot in the epoxy resin, the second such time I have seen this color dot in Felt frames. While neither of these items will effect overall performance or longevity, I would expect Felt's top of the line frame to be subjected to a bit more detail. Shifting of the derailleur is fast and accurate. 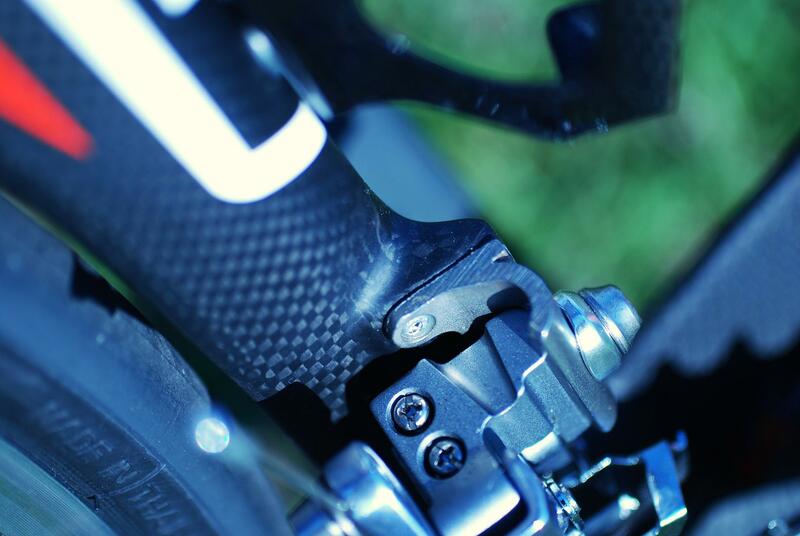 The braze-on, short cage, Ultegra SL 6700 derailleur is backed by a solid block of carbon/epoxy. I have been really impressed by the Ultegra 6700 cranks and chainrings. I was a bit concerned with shifting performance due to the internal cable routing (cable runs through more housing and is subjected to a few tighter bends than traditional routing). The Bottom bracket is an Enduro Hybrid Ceramic bottom bracket, a significant upgrade to Shimano's Hollowtech II. For powerful riders, ceramic is worth every penny and noticeable the first time on the bike. Lastly, the frame is finished off with 23 gram Wraptor water bottle cages from Eleven 81. The cages are minimalistic and expected given the light weight. They perform their duty without much fanfair and are among the lowest cost full carbon cages available. 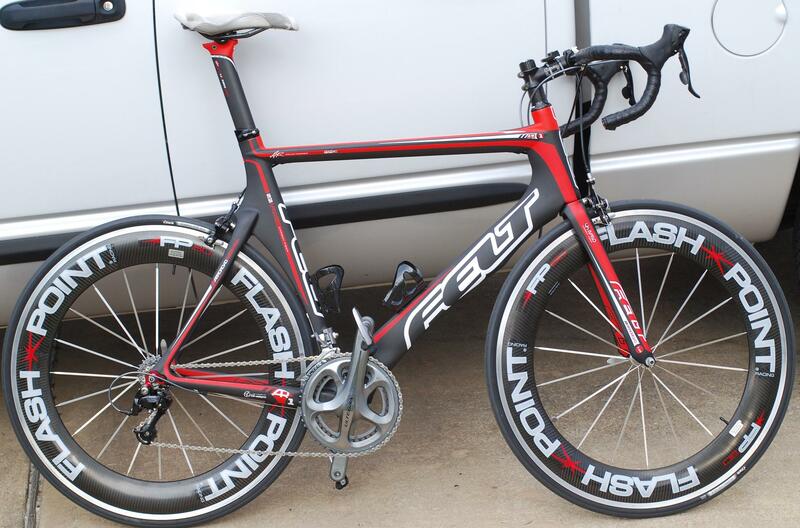 Pros: Felt's 2010 AR-1 is a beautifully crafted piece of carbon fiber. 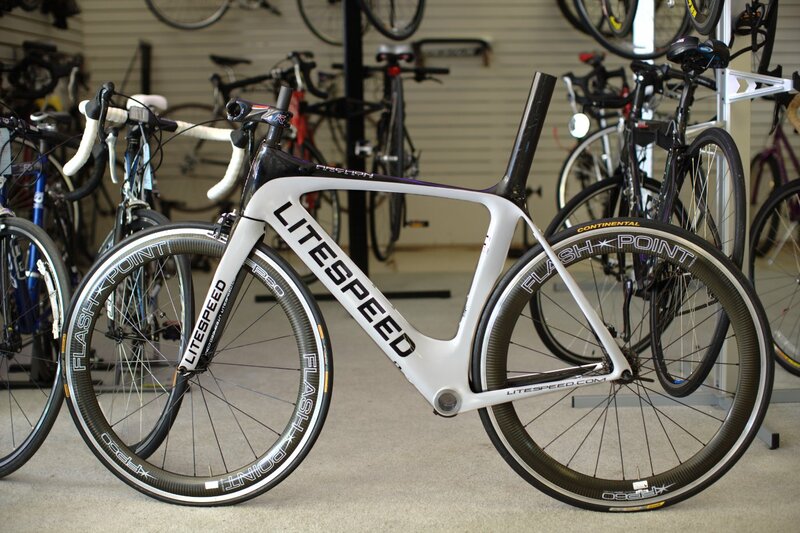 The ride is smooth enough for a century, but responsive enough for testosterone driven sprints. Shimano's Ultegra SL 6700 cranks coupled with an Enduro ceramic bottom bracket provide a solid, silky smooth platform. Lizard Skin bar tape is worth its weight in gold. Cons: Matte frame finish shows every greasy fingerprint. Fiber lay up could be blended in a bit better.